[Fixed] – Battery Plugged in Not Charging Problem In Windows 10:- There is nothing more troublesome than the battery when it comes to a laptop. A very common issue that is faced by almost all laptop batteries is the Plugged in, not charging issue. In this article, I have explained a very simple method using which you can solve this problem. Read on, to learn this simple trick to solve this little issue of yours. Note : Before trying out, you can unplug the charger and remove and reinsert the battery and see if its working. Sometimes restarting your PC also fixes this problem. If its not working go ahead for the fix. Right click on Windows icon to expand out its context menu. 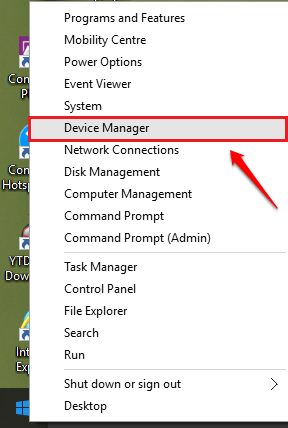 Find and click on the option entry named Device Manager as shown below. A window named Device Manager opens up. Expand the entry named Batteries by clicking on the side arrow associated with it. 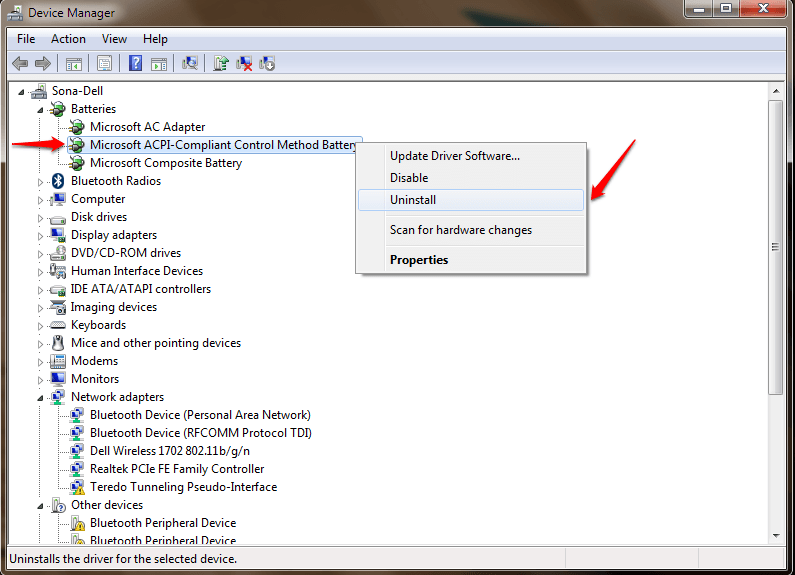 As next, right click on Microsoft ACPI-Compliant Control Method Battery and click on the Uninstall option. Step 3 – Now Shutdown your laptop. Step 4 – Now, remove the Battery manually and then unplug the Power Adapter from your laptop. Step 7 – start the system again. the message “Plugged In Charging” message will be there waiting for you. That’s it. Try out this simple method today itself. Note: – If this also does not solve your problem, just run battery health report on your PC and see if Your batteries are healthy or faulty. You can also try updating Your BIOS to get rid of the battery problem. Besides the above mentioned method, you could try turning off the system, taking the battery out, holding the power button for 1 minute and putting the battery in to see if it works. If you get stuck with any of the steps, feel free to leave comments. We would be more than happy to help.